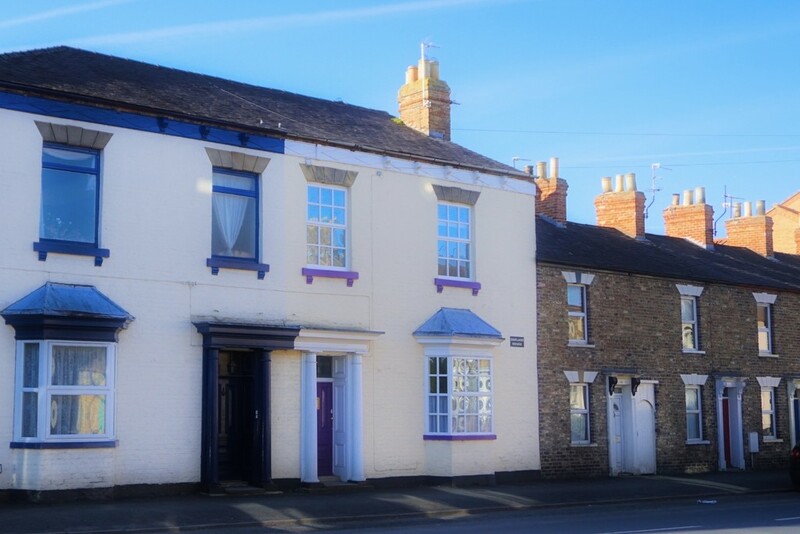 Step through the grand front entrance of this Victorian Town House and you will find a unique property. Thoughtfully updated by the present owners the house provides all the comfort of modern living yet retains many original features. To the rear there is a pleasant garden and secure off road parking. 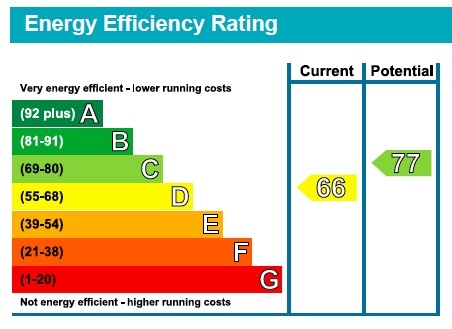 Contact us to arrange an internal inspection to fully appreciate what this property has to offer. 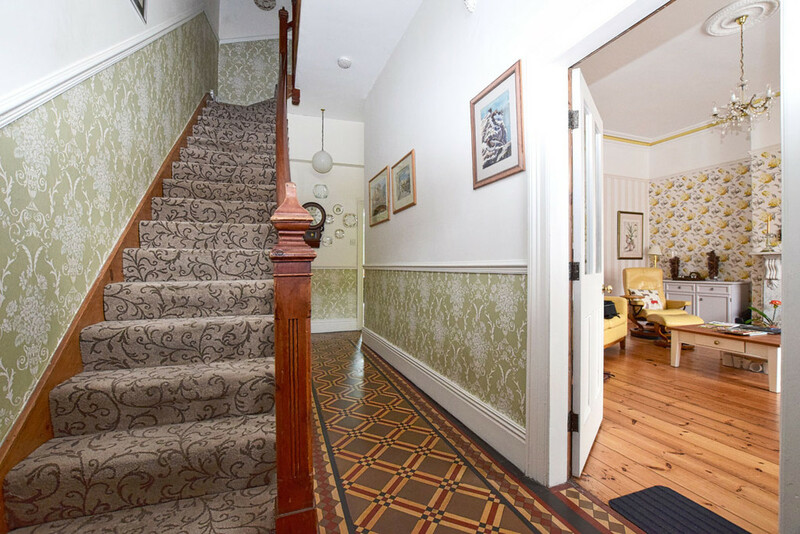 DESCRIPTION Step through the grand front entrance of this Victorian Town House and you will find a unique property. 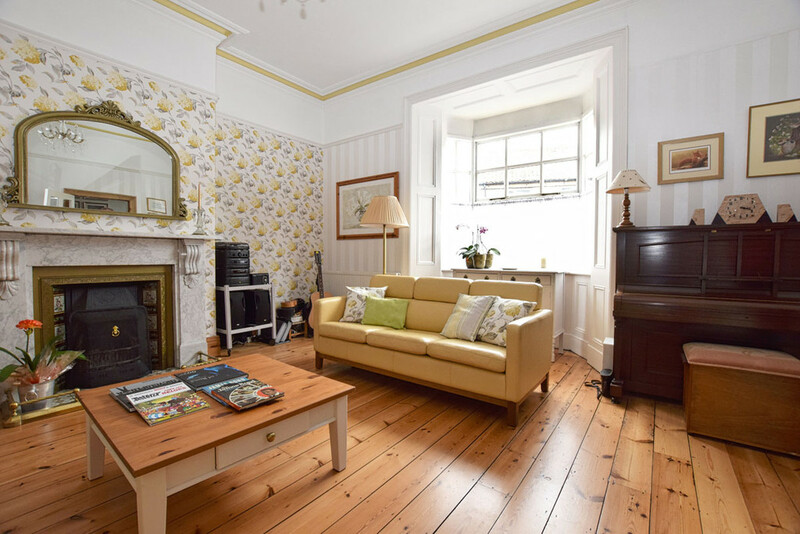 Thoughtfully updated by the present owners the house provides all the comfort of modern living yet retains many original features. To the rear there is a pleasant garden and secure off road parking. 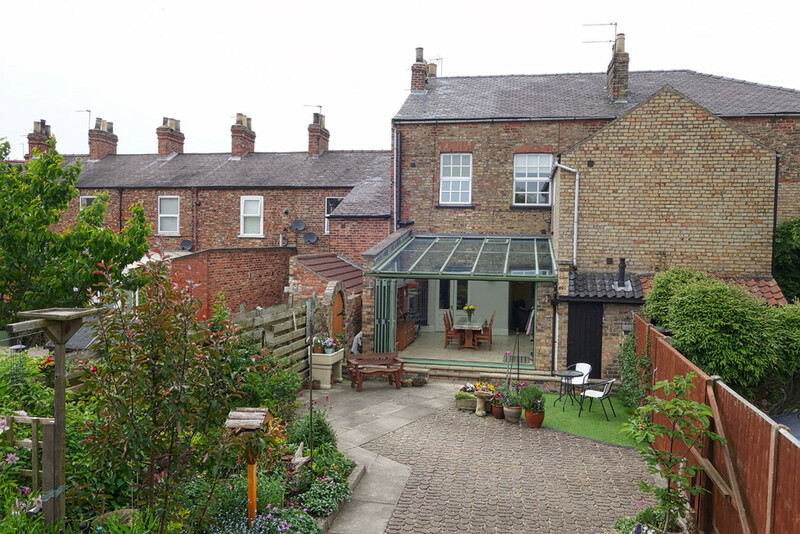 Contact us to arrange an internal inspection to fully appreciate what this property has to offer. HALLWAY An impressive introduction to the property. This L shaped hallway has a high ceiling and wide panelled staircase with wooden balustrade. 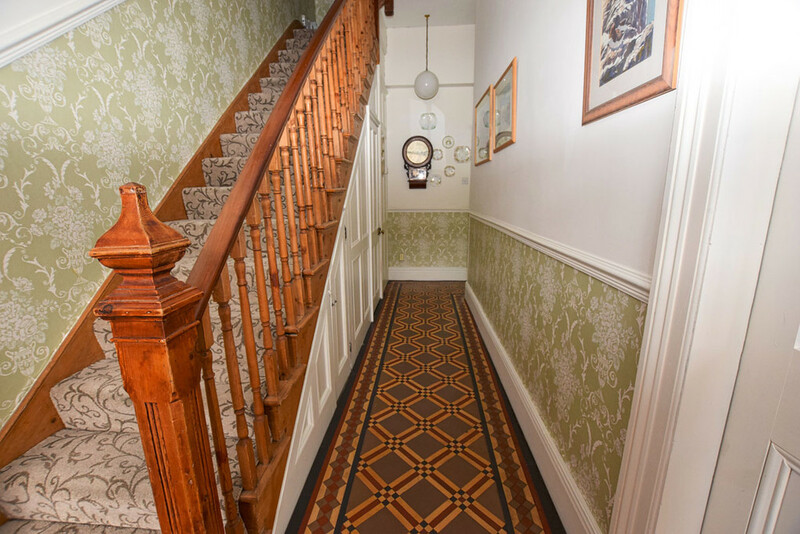 Geometric patterned Victorian tiled floor with high skirtings, dado rail, radiator and built in storage cupboard. CLOAKROOM Situated under the stairs and fitted with a modern white suite. It has a vanity unit with inset mixer tap basin and cupboards beneath and a push button WC. Ladder style radiator and ceiling extractor. 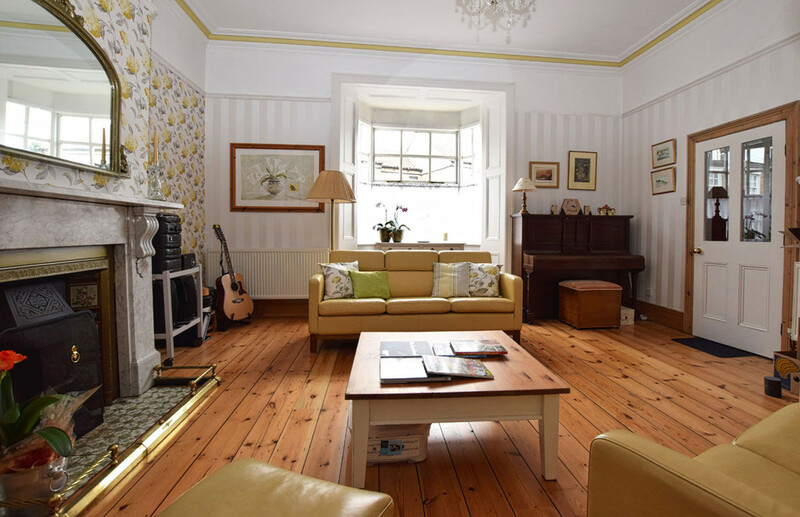 DRAWING ROOM 17' 6" x 17' 5" (5.33m x 5.31m) max A very large, light & spacious room with high ceilings and having a large panelled bay window to the front. 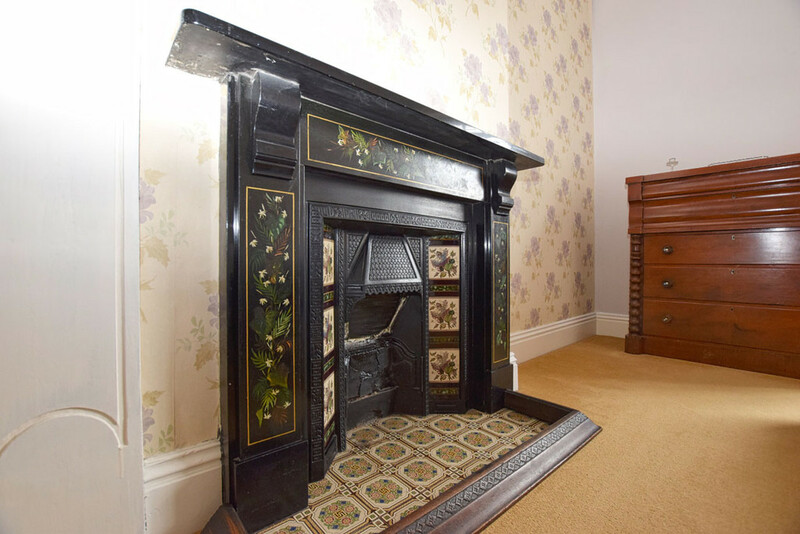 Feature open fireplace with ornate marble surround and patterned tiled hearth. Picture rails, stripped pine floor with high skirtings and two radiators. DINING KITCHEN 28' 6" x 24' 6" (8.69m x 7.47m) max The current owners have created a stunning space by cleverly extending into what was a patio area at the rear of the property. 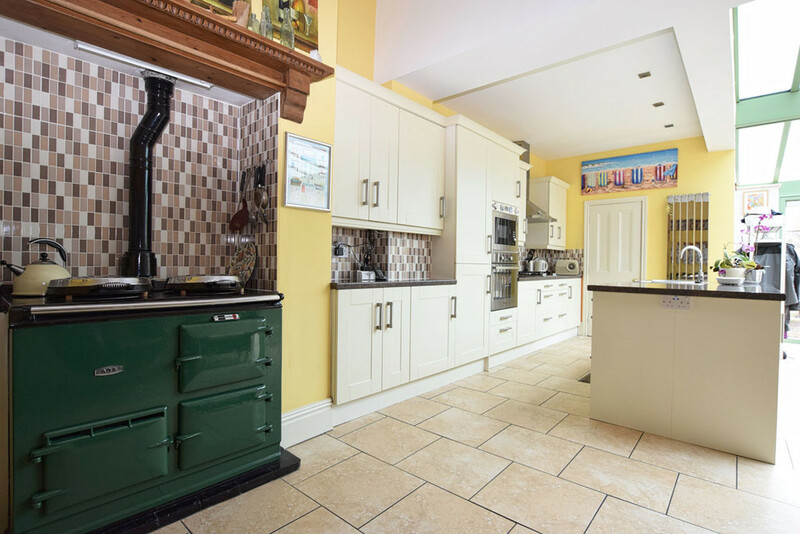 The kitchen has an extensive range of cream Shaker style units. It has an integrated fridge/ freezer and dishwasher. There is a four ring gas hob with extractor hood over and a built in microwave oven/ grill with further oven beneath. 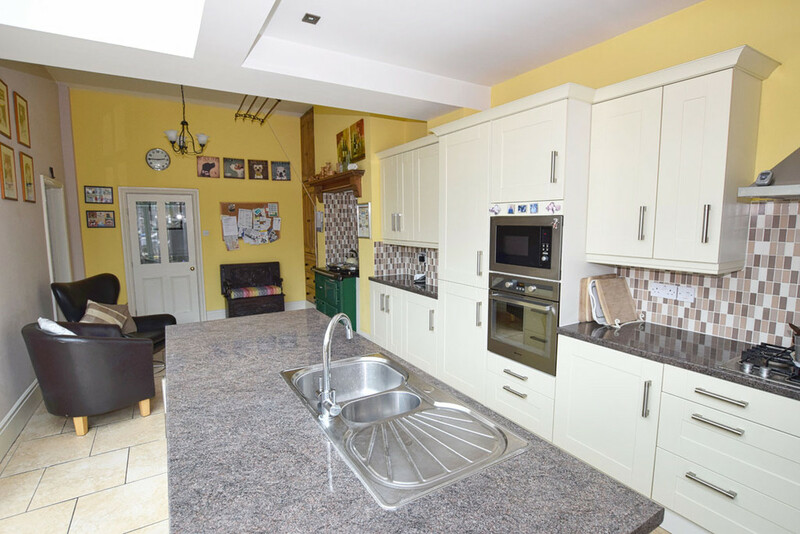 The work surfaces have tiled splash backs. The freestanding island unit houses the one and a half bowl mixer tap sink unit & provides a large work surface with recessed ceiling lights over. 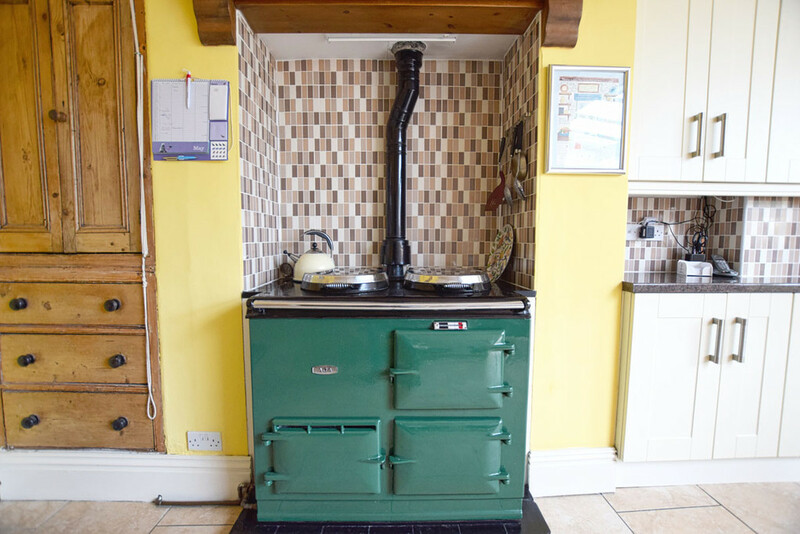 The focal point of the kitchen is the lovely green gas fired Aga which has a decorative wooden mantle & tiled splash backs. To one side of this is one of the original wooden fitted cupboards. 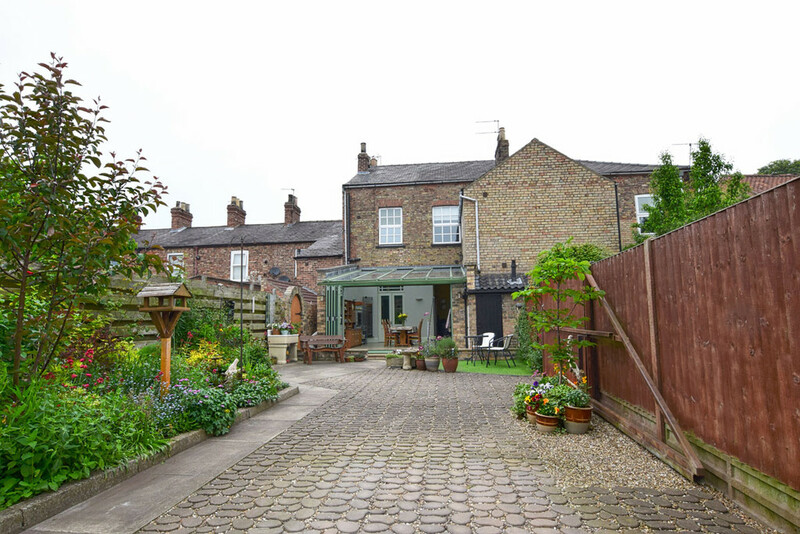 It has been restored to provide part of the interesting fusion between modern and period styles throughout the property. There is a stylish vertical radiator and tiled floor, which extends throughout the entire room. Off the kitchen area is a larder/ utility cupboard, which has a second mixer tap sink unit, plumbing for washing machine & ceiling extractor. 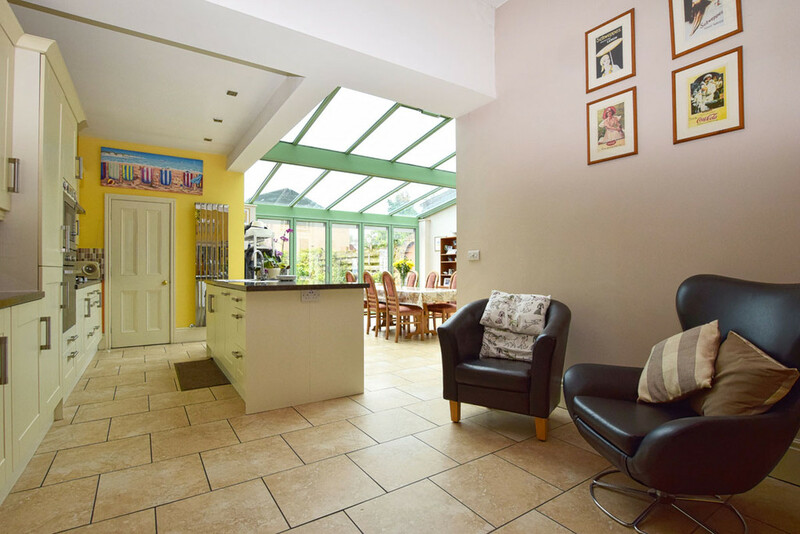 The kitchen area opens into the stunning dining space. 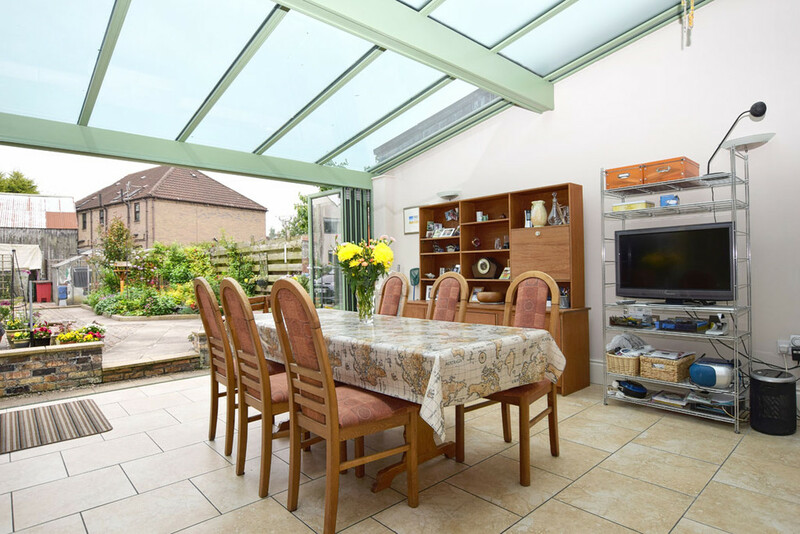 This has a high full glass roof with automatic ventilation and full width bi- folding doors opening into the rear garden. 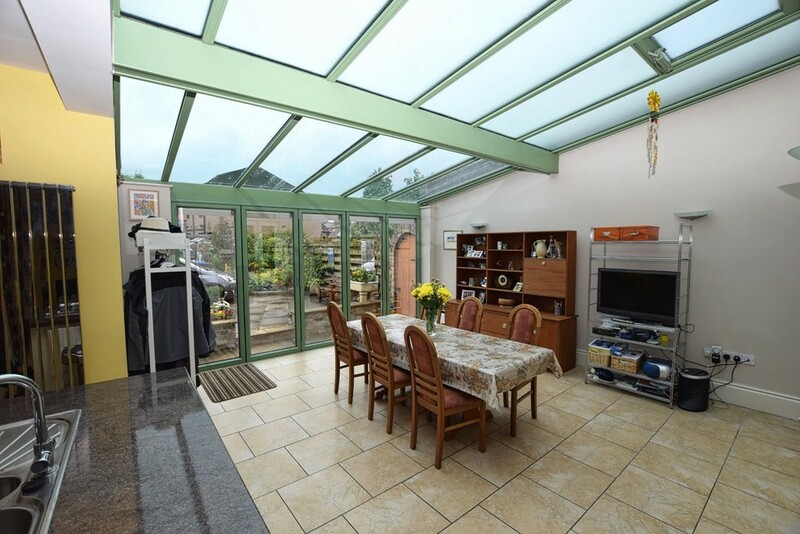 This really is the WOW factor of this property and is a superb area for entertaining. 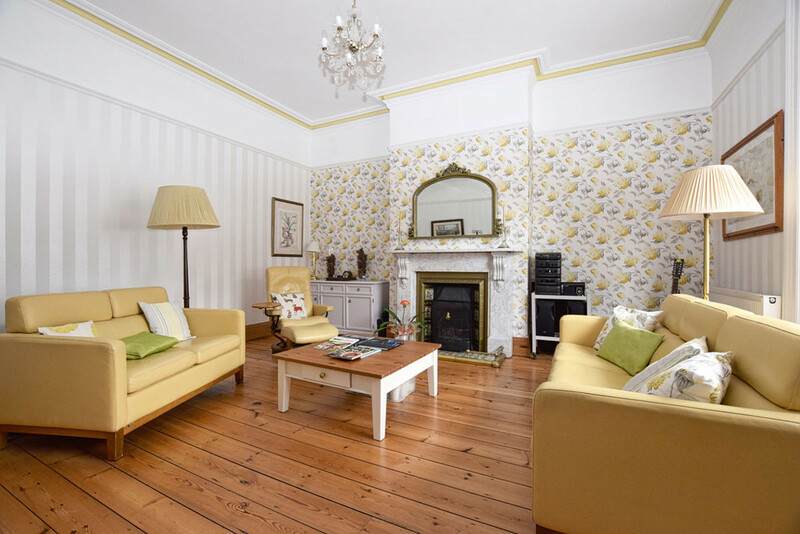 This room also has high skirtings in keeping with the traditional features of the property, and a further stylish vertical radiator. 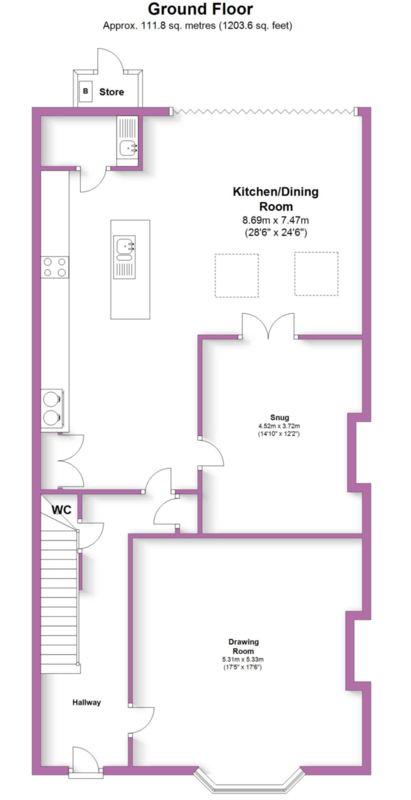 SNUG 14' 10" x 12' 2" (4.52m x 3.71m) max Accessed from both the dining or kitchen areas this room is the perfect place to relax. In contract to the scale of the dining kitchen, this is a cosy room. It has a fireplace which features a recessed multi fuel burner stove with a decorative wooden surround set on an exposed brick & stone hearth. 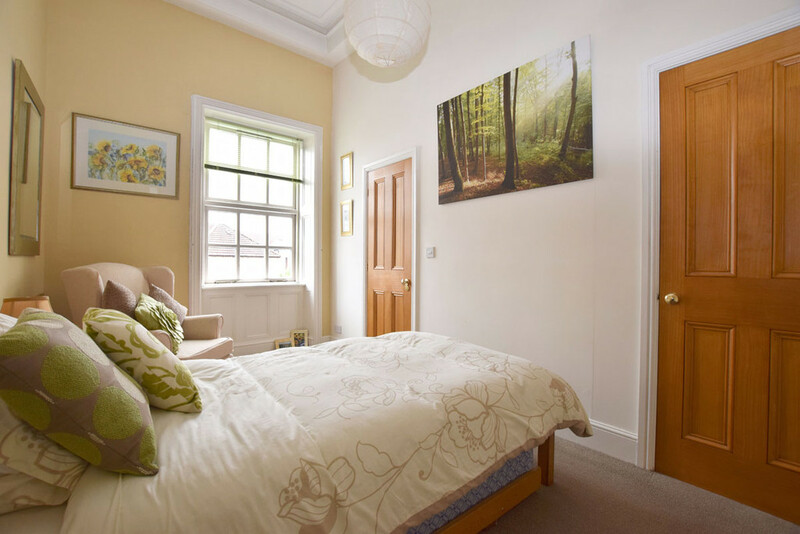 This room again has high ceilings and high skirtings as well as wall lights and a radiator. LANDING With radiator and original Victorian gas lamp fitting. MASTER BEDROOM SUITE The current owners have reconfigured this space to now provide both a large bedroom measuring 17' 7" x 10' 11" (5.36m x 3.33m) max, and cleverly designed dressing room measuring 11' 6" x 5' 2" (3.51m x 1.57m). 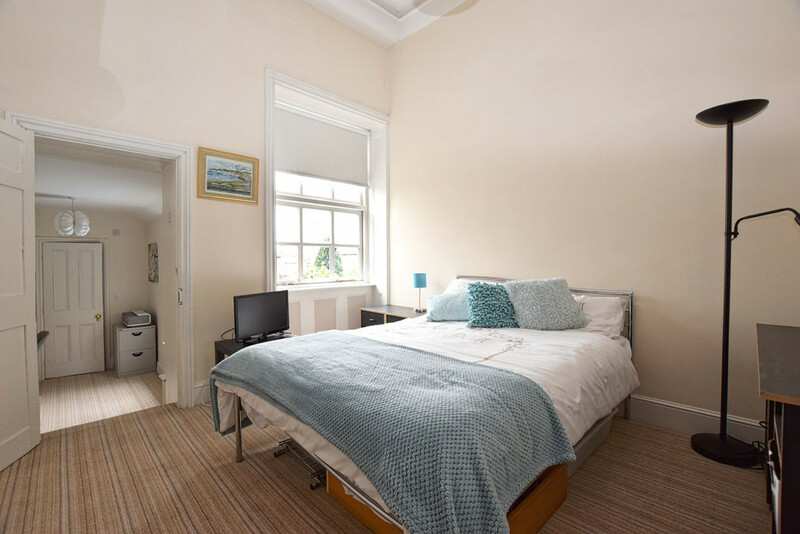 The bedroom has a beautiful panelled high ceiling and a large window to the front. Taking centre stage is the original fireplace. It has a hand painted surround and tiled hearth. To one side of this is one of the original cupboards with its ornate carved mantle. There is a radiator, and of course high skirtings. In the dressing room the present owners have fitted a bespoke hanging/ shelving system. By utilising the high ceiling, they have created ample storage space for clothes, bedding and much more. From here there is a door through to the en suite bathroom. 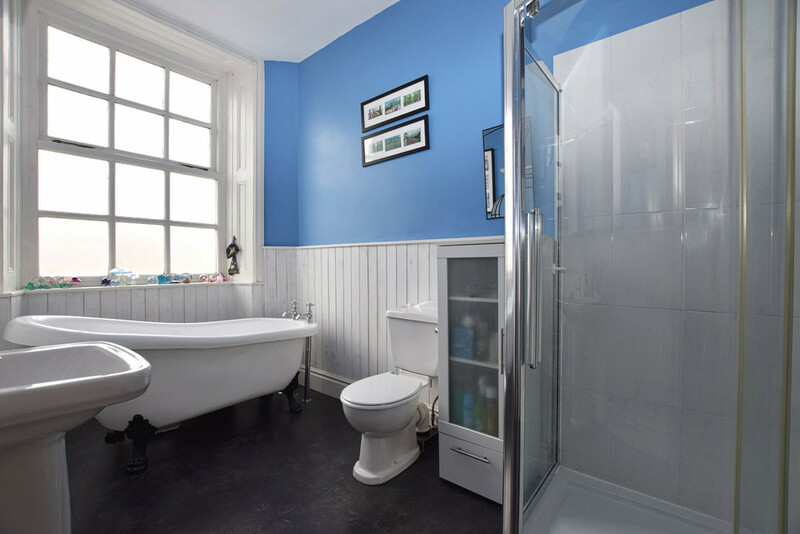 Refitted in keeping with the period of the property this features a white suite with a free standing roll top bath, pedestal basin and WC. There is also a large fully tiled shower cubicle recessed ceiling light/ extractor over. The walls are half panelled and there is a Victorian style radiator/ town rail. 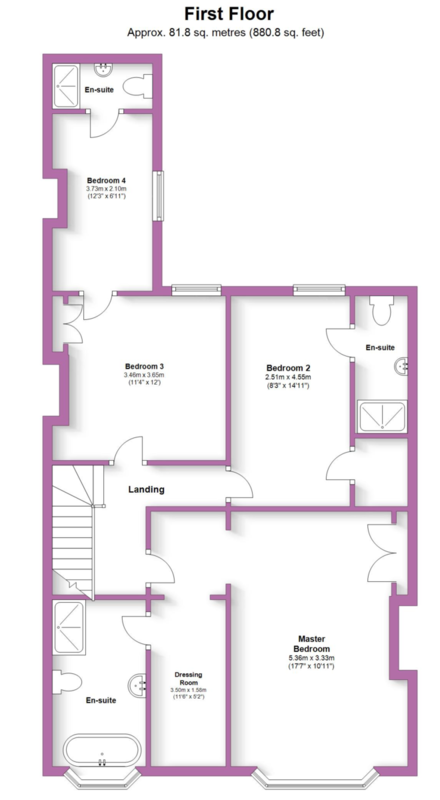 BEDROOM TWO & EN SUITE 14' 11" x 8' 3" (4.55m x 2.51m) A double bedroom with a window overlooking the rear garden. Once again the present owners have cleverly re-configured this room. It now has an en suite shower room and a walk in wardrobe with a loft storage space above. The en suite is white comprising mixer tap pedestal basin, push button WC & fully tiled shower cubicle. There is also an extractor and a ladder style radiator. BEDROOM THREE 12' 0" x 11' 4" (3.66m x 3.45m) With a window overlooking the rear garden. 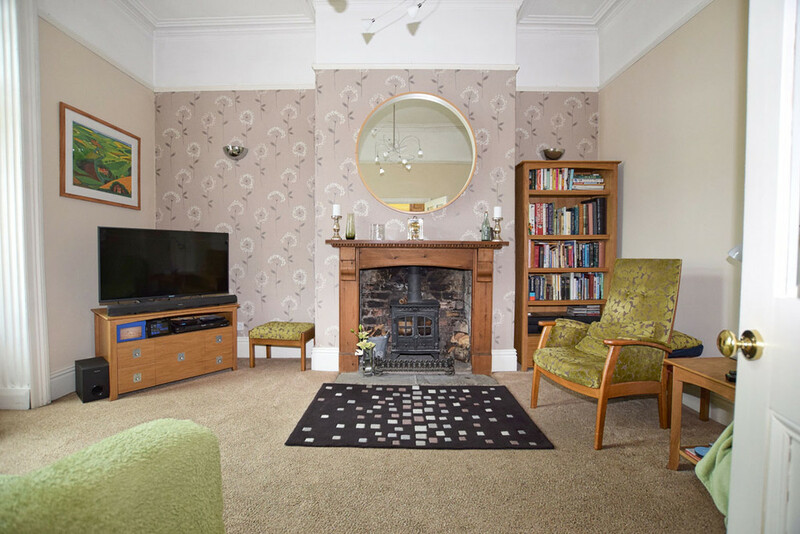 This large room features a Victorian cast iron fireplace with a huge full height storage cupboard to one side and access to the attic space. This room also has another original Victorian gas lamp fitting and a radiator. 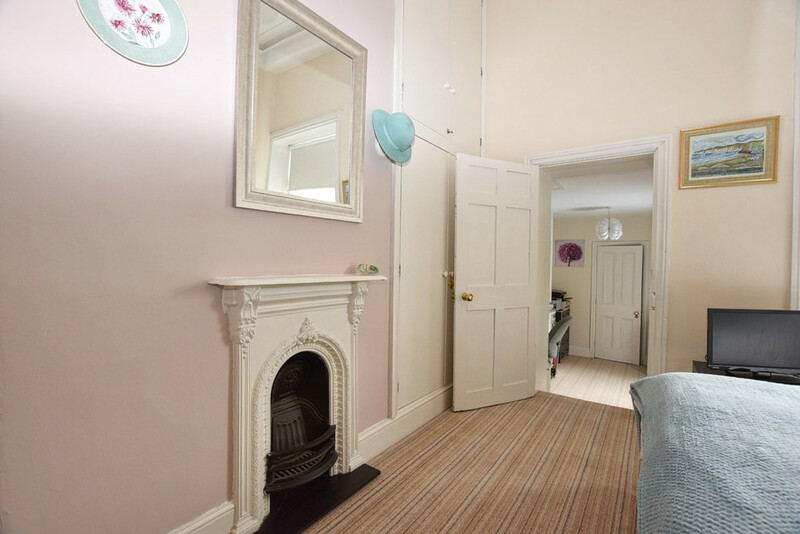 A doorway with two steps down leads to what could either be used as a fourth bedroom, or as an extension of bedroom three as a study, dressing room or playroom. 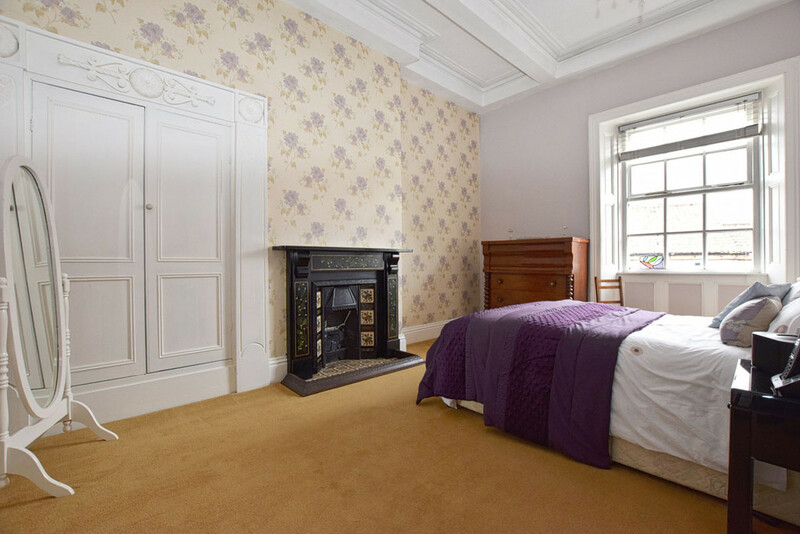 BEDROOM FOUR & EN SUITE 12' 3" x 6' 11" (3.73m x 2.11m) This room has a window to the side, radiator and another Victorian cast iron fireplace with decorative polished tiled hearth. A door leads to the en suite shower room. With a white suite comprising mixer tap pedestal basin, push button WC & fully tiled shower cubicle. There is also an extractor and a ladder style radiator. 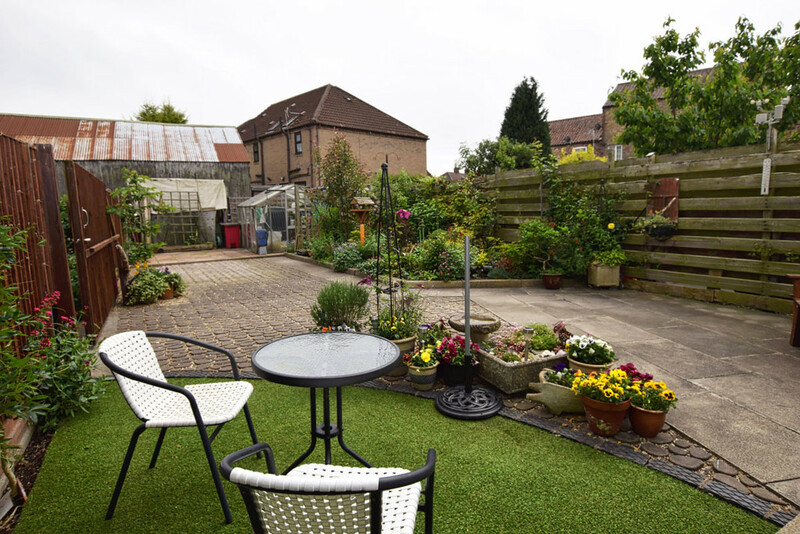 OUTSIDE To the rear of the property is an enclosed south facing rear garden with secure off street parking. There is a small artificial lawned seating area and extensive raised flower and shrub beds and a patio area. 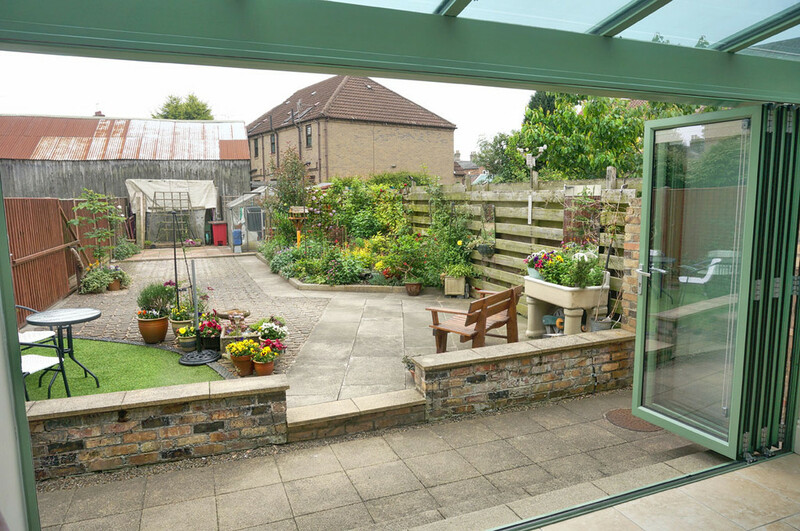 At the bottom of the garden is a greenhouse and useful timber shed. To one side is gated vehicular access and to the other gated pedestrian access.